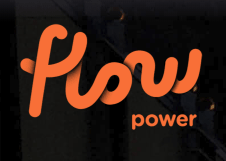 Home › Australian Solar Farms › Kiamal solar farm signs a PPA with Flow Power. The 200MW Kiamal solar farm located near Ouyen in Western Victoria has signed a PPA for 25% of its output (50MW) – they’ll sell this power to Flow Power who will then offer it to their business clients along with power generated from the Ararat wind farm. Total Eren will be responsible for construction of the as yet unbuilt solar farm – this will be the first Australian investment from a JV combining Total Eren and a renewable energy developer. The farm will include more than 700,000 PV panels over almost 500 hectares of space, using single axis tracking. It also has approval from Mildura council for a 100MW/380MWh battery storage facility, according to Michael Vawser of Total Eren. Another 50MW of the power was contracted to Mars Australia last week – allowing them to run their entire business (including six factories) on 100% renewable energy. Commercial solar continues to come along in leaps and bounds. The Kiamal solar farm will begin over the next 12 weeks and it’s estimated it’ll take around 12 months to reach completion. If you’d like to read more about the project you can see some more detailed information by clicking here.